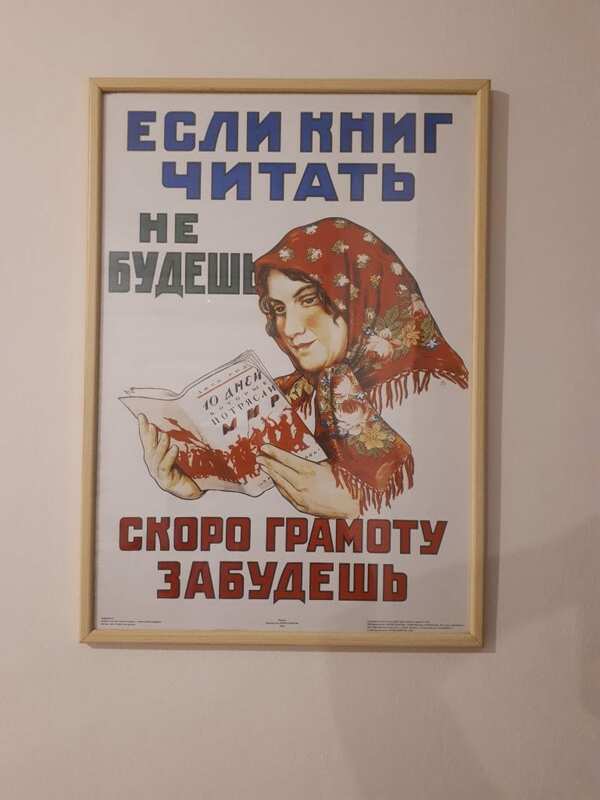 10 years ago, in a Russian store at the city center of Jerusalem, I bought an A3 size poster from the communist time, with a drawing of an old lady who looks like a farmer, holding a book. The short text beside her image read: If you stop reading books, you might forget the language. Recently in my field site of Dar al Hawa I found myself remembering this poster when visiting the elderly club, a central place in my field site, as I observed a variety of practices that aim to keep them sharp and vital. One of the most challenging problems in the elderly club is to find suitable activities for the members. They need to be activities that both men and women can do; not too physical, because many are suffering from pains in their legs and can’t walk a lot, some have hearing problems, or cannot breath well. Hence, many of the activities are ‘just’ talks – it is easier for them to sit and listen. However, there can still be difficulties in establishing the time and place with lecturers as sometimes they call in the morning of the lecture to cancel. When a lecturer stands them up like this or if there is no other organized activity in the club, their alternative is an independent Quran lesson, which is quite different from the religion lesson that they have every few weeks with the local Iman. 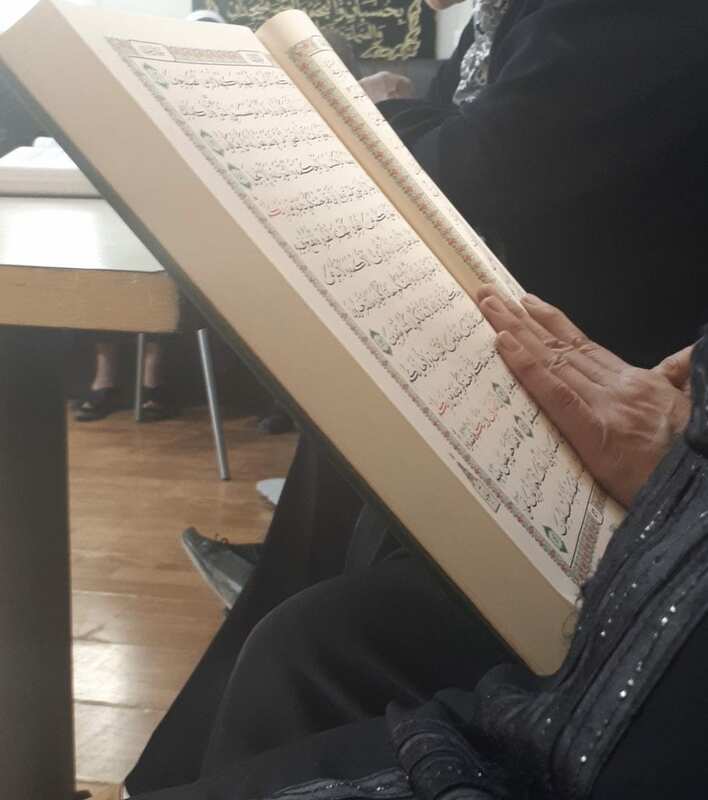 They take out larger volumes of the Quran and start reading aloud, each one in his/her turn. Hala, a member in the club who is volunteering in the Israeli welfare department and coordinates some of the club’s activities, leads the reading session and corrects them as they read. It is not easy to read correctly from the Quran, as ech part has its own chants. The exercise is productive not just of the sense of community but also isa practice which helps stimulate memory (Collier, 2017). The books were donated by one of the club’s members, and are large in order to make reading easier. From the perspective of our projects work on smartphones, in a site where religion plays a core role in daily life, the small screen of the smartphone poses a problem – even if they are able to change the size of the font. However, people here do find relevant uses for the technology. For example, most of them have downloaded an app that reminds them when to pray during the day. 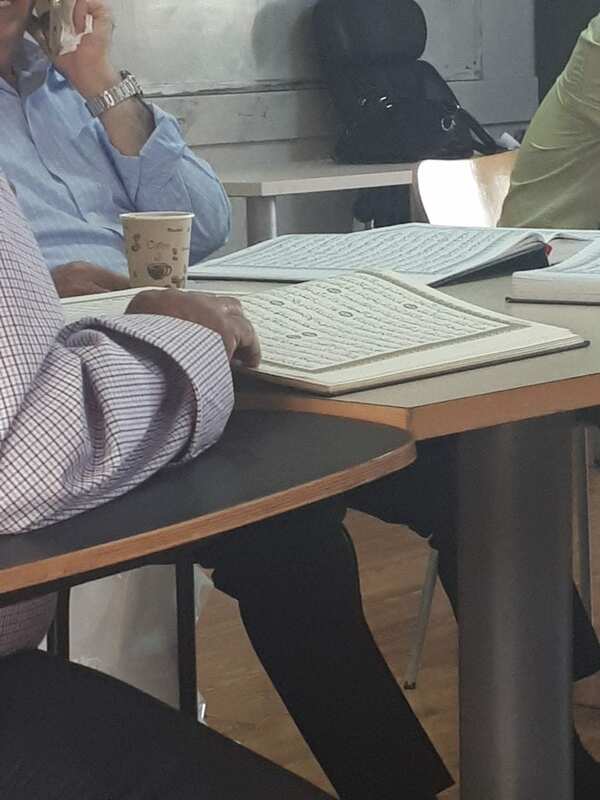 Quran reading lessons seem to be physically passive, since they take place while sitting. 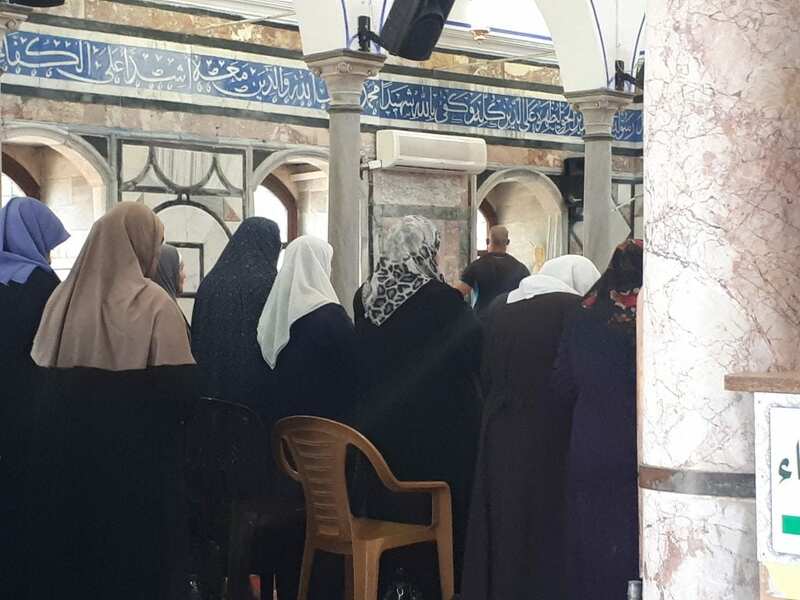 However, praying in Islam is quite a physical experience, as the person praying needs to first take off his/her shoes, following this he/she may enter the mosque and begin praying. Praying also involves all kinds of physical positions such as sitting, leaning to the ground, standing up, turning the head to the side – these movements are frequently repeated. 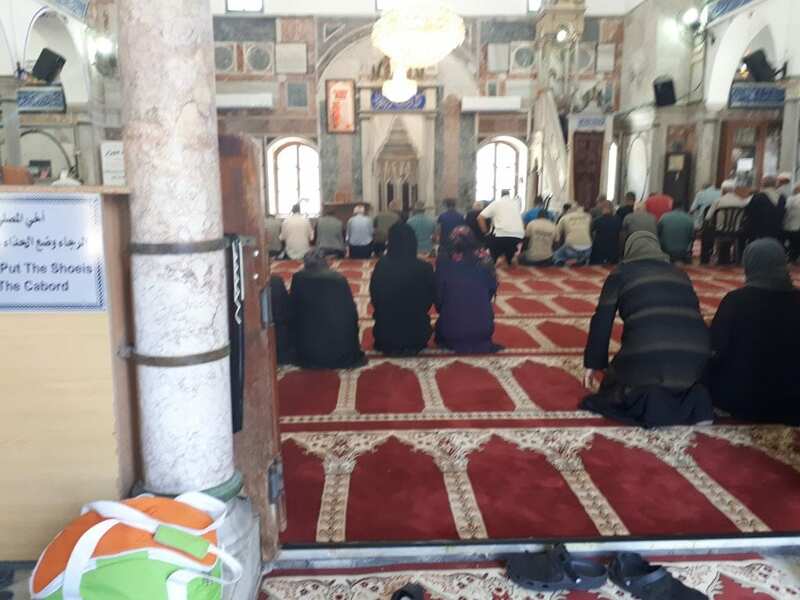 The entire group went inside the mosque to pray, some sat on the floor as is custom, while others who physically cannot get down to the floor took plastic chairs. For almost an hour, they all prayed, regardless of any physical limitations, and in a way, were challenging their bodies through the prayer. It is easy to forget that prayer is far more than just words. It is an immersion of the person physically and mentally within their religious practice, and for older people, it remains the structure to much of their life. So when thinking about the impact of the smartphone on people’s lives, one has to be continually aware of how much, and how, this is mediated by religion.